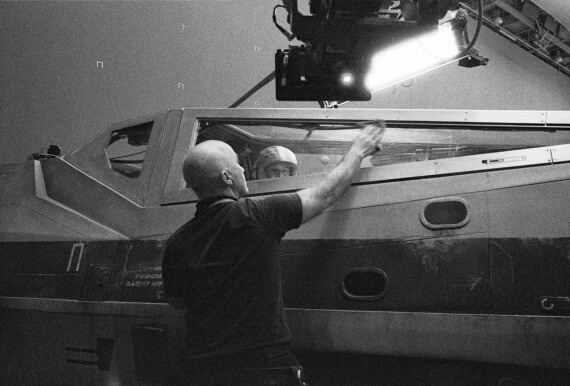 Star Wars Episode VIII director Rian Johnson recently shared a few photos from the set of the 2017 film which could give Star Wars junkies their fix. Actual photos after the jump. The first photo doesn’t give us any clue but its pretty cool. Yeah, that’s a closer look at an X-Wing (the new ones flown by pilots like Poe Dameron). There’s nothing in the background but its just really awesome to look at. The second photo could have more context to the story. 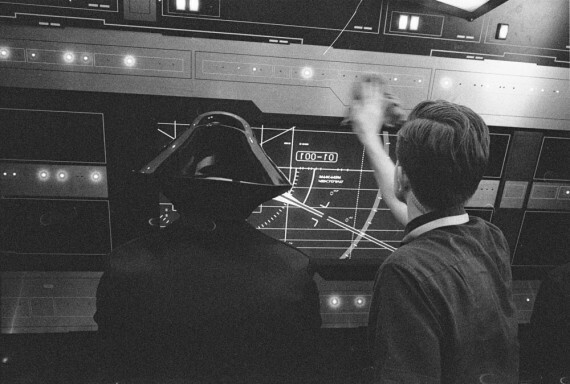 We’re looking at control panel for what we assume is a First Order base/ ship. And while we could get our hopes up that this is Kylo Ren, its not. It’s the headgear for Imperial crewmen manning ships. This was the same type of uniform we’ve seen in all three of the original trilogy. What’s more important is where this is. This could be the ship or base that First Order characters like General Hux and Kylo Ren retreated to after the Resistance blew up Starkiller Base in ‘The Force Awakens’. We still have more than a year before we see Star Wars Episode VIII so for now, lets speculate.